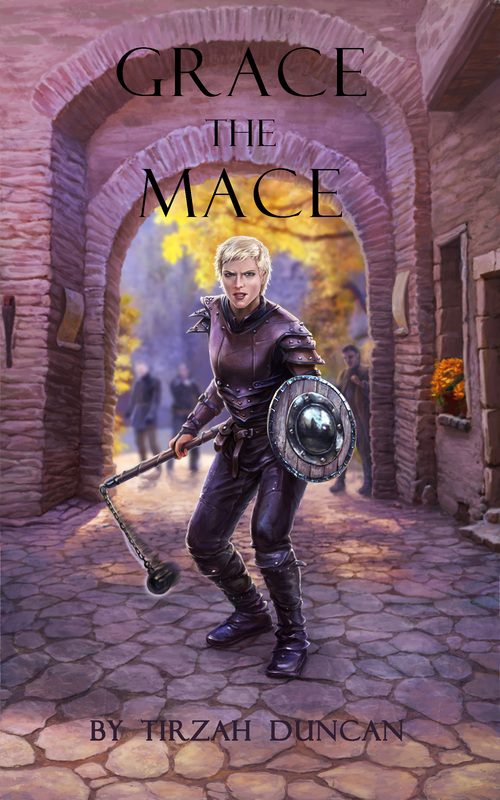 ​​​Grace has always been there for her mother, ever since she was old enough to bite the legs of those thugs and leeches that called themselves lovers. Ever since she was old enough to understand the world in a way her mother never would. “Look—it’s a shadow, creeping on the wall. Look—it’s a nightbird, feathered, black, and tall. Elsewhere in this fantasy-tinged novella, another man is recently risen to power. Joreth, formerly an assassin by trade, is newly the master of the assassin's guild responsible for the elder Lord Cavernad's demise. Wren, a servant girl deeply enamored of her new boss, seeks to gain his favor, and happens upon his strangest secret. A lone vigilante stalks this landscape of cloak and dagger, sense and madness, and grudge and ardor old and new; the preying Nightbird stands in judgement of injustice masked by night or noble station. In this tangle of stale bitterness and fresh affection, who will stand justified? Who will fall condemned? And will the cry of the Nightbird sound loud enough to go down as more than a washerwoman's four-line ditty? Click the cover or go here to find out for $2.99, or just to check out the opening pages.